Established in 2014, the Lüssem Lab studies new organic semiconductors and novel organic devices with improved performance. Research spans from clarifying the fundamentals of charge transport in organic semiconductors, to modeling light emission in organic micro cavities, and new protocols for a large scale integration of functional organic circuits. For more information see our projects. Akram's manuscript accepted for publication! A new paper of Vikash was accepted for publication at pss(a). Vikash studies gate bias stress effects and hysteresis in Organic Electrochemical transistors. He presents a simple model to explain these effects and shows how the hysteresis can be minimized by geometrical optimizations. Read it here! 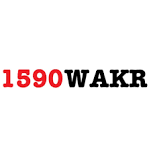 It was fun to be interviewed by Jeanne from WAKR and to showcase our research beyond the scientific community. Enjoy the interview here. We moved to our new facilities in the Integrated Sciences Building. All tools are up and running again! First graders of Longcoy Elementary were visiting our lab to learn about the different states of matter. We had lots of fun! We recently installed a new Gradient Sublimation Tool in our lab. Testing is ongoing, but we will have home-made materials with highest purity soon. 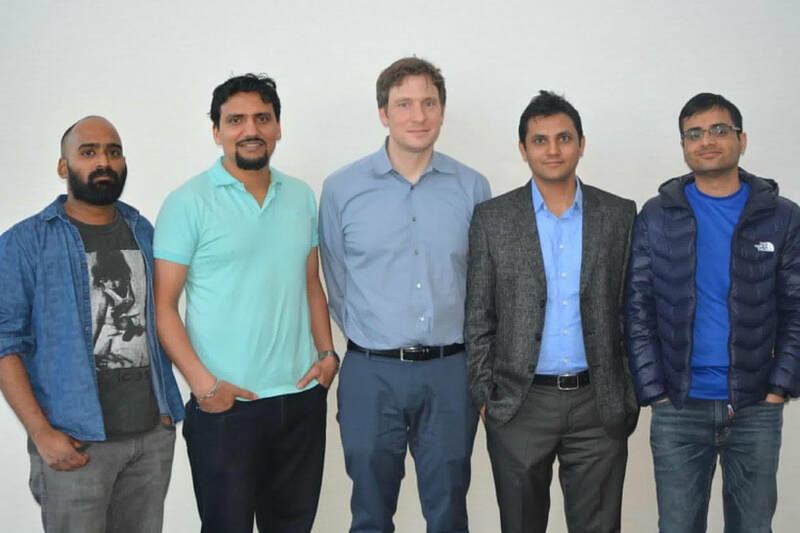 Vikash was recently awarded the University Fellowship. Well done! We recently received funding for 5 years from NSF to continue our work on Organic Electrochemical Transistors. Looking forward to exciting results! Congratulations to Changmin for his recent paper published in Scientific Reports! Changmin discusses a new techniques to influence the structure of organic thin films and how we can exploit this method in OLED research. We recently received the award notice from the NSF. The grant will fund our experiments about minority and majority charge dynamics in organic semiconductor. Looking forward to the experiments! Shiyi was awarded Kent State's University Fellowship for the academic year 2018. Great Achievement! Our first paper in 2017: Shiyi published his double layer lithography in Organic Electronics. Congratulations! Here it is: our contribution to the demonstrator competition of the OE-A. Thanks to the great work of Margarita we were able to finish our project in time and to send it to the OE-A. Thanks for funding from the COTA Catalyst Grant of the KSU for making this possible! 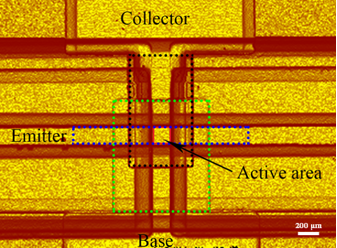 Doping provides an entirely new design space for organic field-effect transistors: in addition to an accumulation of majority charge carriers in the transistor channel, the organic semiconductor can be inverted. But how are minority charge carriers generated inside doped OFETs? Akram discusses a new mechanism in his paper published in ACS Advanced Materials & Interfaces. How can we describe trapping effects in Organic Zener Diodes? 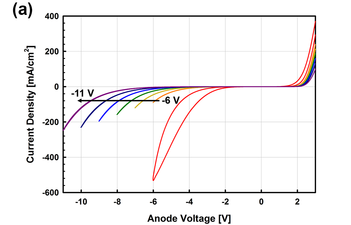 Chang-Min developed a straightforward analytical model to describe the shift in breakdown voltage of organic p-i-n Zener diodes due to trapping in the intrinsic layer. 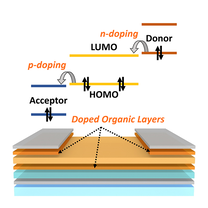 The results can be used to study trapping in organic semiconductors in detail and even sheds some light into the influence of trapping on organic doping. The manuscript was accepted in September and is published here. Congratulations to Vikash for his recent paper on contact limitations of organic electrochemical transistors. 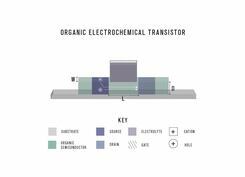 It provides a glimpse on how we can increase the performance of organic electrochemical transistors even more. The paper was accepted at Advanced Materials and is now online. Finally, our review on the influence of doping on the performance and stability of organic transistors was accepted at the journal Chemical Reviews. We summarize the most important classes of dopants, how doping influences the crystal structure of polycrystalline organic semiconductors, and how doping influences the transistor behavior. Thanks to all Co-authors for their support!